Since the board of Wycliffe Canada selected me as the next president of Wycliffe Canada, the most common comment I’ve heard is “Wow!” followed by “Congratulations!” And then “Thank you for stepping up.” It’s that sentiment that hits most closely to my heart as I contemplate this jump in responsibilities. For several years I’ve waxed, pontificated, prodded and urged through this blog and in leadership development events. 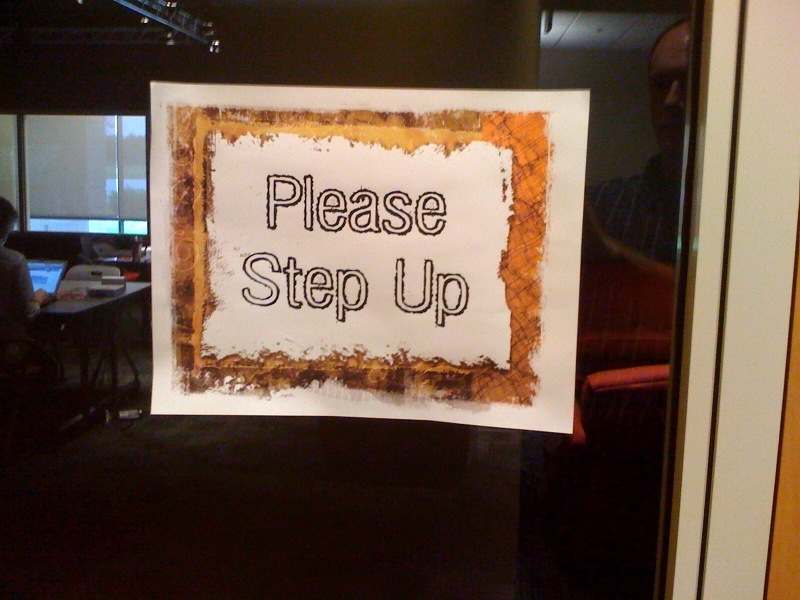 In the latter, I’ve often closed by challenging those God has gifted to “Step up.” Now it’s time to put my leadership philosophies into practice, and I recognize that I will no doubt have to eat some of my words in this blog. If Jesus ever commanded us to do something that He was unable to equip us to accomplish, He would be a liar. And if we make our own inability a stumbling block or an excuse not to be obedient, it means that we are telling God that there is something which He has not yet taken into account. Every element of our own self-reliance must be put to death by the power of God. The moment we recognize our complete weakness and our dependence upon Him will be the very moment that the Spirit of God will exhibit His power. Wow. It’s going to be quite a ride. This entry was posted in leadership and tagged Canada, challenge, Jesus, leadership, president, Wycliffe by royeyre. Bookmark the permalink. An awesome ride!!! And we know who’s in the driver’s seat. Thanks, Melanie. I’m looking forward to discussing our social networking strategy. I appreciate what I’ve seen you doing.